Fender has made many amps over the years and many of those amps are capable of supplying stellar guitar tones but the Twin Reverb, Deluxe and Bassman stand a little above the rest of the pack in my opinion. The Twin is an amp that has been on the stage with countless legends, at the back of the stage in smoke filled bars, covered in cigarette ashes in rehearsal rooms, residing in studios and in bedrooms for decades with no end in sight. A few Fender Twin plugins exist already but finding one with warmth that doesn’t have to be added with other plugins and true realism that captures every detail is another story. Real good clean tones can be the toughest ones to replicate. I had a ’65 Twin Reverb in my rig supplying the clean tones to my Mesa’s dirt. Over time, the Mesa left and the Twin remained for a decade. I used that amp for everything but death metal before I slipped with it during a load-in and it was pronounced dead at the scene. I really like the GUI, it puts the TwinR in one of the scenarios mentioned above. It’s what looks to be a ’65 Twin Reverb sitting in a studio or stage setting with a nice ambience around it. This is exactly what a vintage Fender style plugin should look like in my opinion. In addition to the nice ambience, Sknote gives you a realistic looking Twin Reverb front panel to work with and the controls all respond realistically left to right. From the first note, you can just tell the Sknote TwinR is on another level, that’s really all it takes. 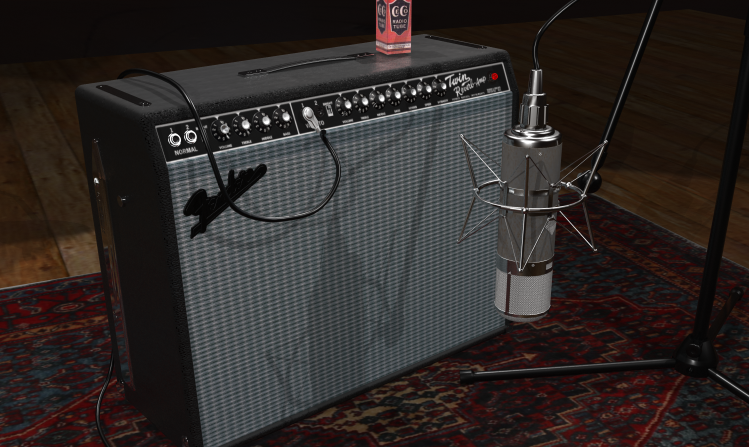 The response, resonance and warmth isn’t just first rate, it sets the the new rate for Fender inspired plugins. That’s the feeling I had the first time I used this plugin and it only got better as time went on. The clean tones are soft, smooth and the amp responds like the real deal. Adding a little of the TwinR’s ample reverb with the Sknote Carbon delay plugin creates a clean tone that I can only describe as “perfect”. I played with this set up for about three straight hours before moving on to more rebellious pastures. Blues, jazz, and lighter genres are all easy to achieve without a lot of dialing. Country music has been dear to me since I was a kid. I mean real country music like Waylon, Willie, Hank, Hank III, Dale Watson, Johnny Paycheck and such rather than whatever it is that today’s masses are using the term for. One thing I have always loved about real country and if I am being straight with all of you, it’s something I have obsessed over from time to time. I am talking about that gulping, cutting twang that is normally the product of a Fender Telecaster and a Fender amp. The twang available in the TwinR is the all out best I have ever heard in or achieved with a plugin. To make it even better, turn again to the Sknote plugins for their UV Vibe, Carbon and P90 phaser. Within moments you can have a tone that feels like you should be on your 3rd set in a highway Honky Tonk in the 70s. The TwinR has some balls in there for when you want to make it angry. Crank up the gain for some great rock, indie, old school punk, southern rock and really anything requiring low to mid gain. Add a tube screamer or distortion pedal for a little something extra but remember, it’s a Twin. I used a few different tube screamer pedals during the country extravaganza to create that driven twang you hear in Brad Paisley’s tone and it only made the experience better. It also worked extremely well for Rockabilly with the same Sknote Carbon delay! You can mess with various mics and a number of other tone shaping options but for all you impulse response lovers, the TwinR does not have a cabinet/speaker bypass at this time though it may be in the cards for later. After discussing it with Sknote, we fully understood the reasoning behind it and honestly, it sounds impeccable as is. There isn’t a single thing wrong with this plugin. It went straight into my top plugins and it steals the Fender twang spot from a plugin that held the spot for years without fail. We all have our “untouchable” plugins but sometimes they have their thrones usurped when you aren’t expecting it. This was one of those times. The Sknote TwinR is one of the all out best sounding amp sims that I have ever used and surely the best Twin Reverb inspired plugin made to this point. I believe this is a huge accomplishment because amp sims like the TwinR make it more and more difficult for the vintage tone hounds to claim plugins can’t sound real.